Fiber cables and data centers could be decimated by global warming-created sea-level rises in less than 15 years, according to researchers at University of Wisconsin-Madison and University of Oregon. By 2033, over 4,000 miles of underground fiber will be beneath sea water, and hundreds of data centers will be affected, reseachers at University of Wisconsin–Madison and the University of Oregon say, because the conduits carrying the internet cables and the cables themselves are not designed for that environment. While the cables are water-resistant they aren't waterproof, which means global communications will get disrupted if action isn’t taken to mitigate the risk, the experts say. New York, Miami and Seattle are the three major U.S. extended urban areas that the group says are most susceptible to metro-area cable inundation. However, the effects would ripple through the internet. And Los Angeles would be hit in its long-haul installations. It is “critical communications infrastructure that could be submerged by rising seas.” And it is going to happen “in as soon as 15 years,” according to the researchers' study. “Most of the damage that’s going to be done in the next 100 years will be done sooner than later,” says Paul Barford, a computer science professor at UW-Madison, in the news release about the study. He says the finding caught them off guard because the team initially thought 50 years would be a good planning period, but “we don’t have 50 years,” he says. The damage will corrode the cables and shorten the distance that signals will travel over them. In addition, more than 1,100 traffic hubs — colocation facilities, data centers and points of presence — will become surrounded by water. None of those are designed to be under water permanently, the researchers say. And no one is currently thinking about how to address the issue, the researchers say. “Developing mitigation strategies should begin soon,” they say in the report (pdf). Electrical signal loss and outright fiber breakages caused by water freezing in winter are additional threats from the seawater seepage. The researcers obtained their grim findings through use of climate-change estimates supplied by the U.S. National Oceanic and Atmospheric Administration’s (NOAA) Digital Coast project. It produces Sea Level Rise Inundation (SLRI) tables. The group combined those numbers with Internet Atlas geocoded maps. 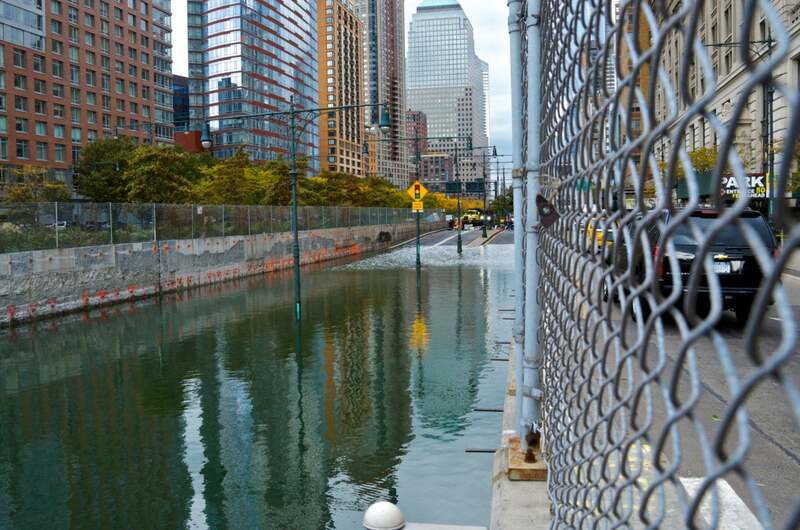 The combo prophesizes a six-foot rise in sea level over 100 years, and a one-foot rise over 15 years, the report says. Melting polar ice and expanding water (water can expand as it heats up) caused by heat-trapping, industrial gasses in the atmosphere is factored into the datasets the team used. Storm surges, as occurred with hurricanes Katrina and Sandy, should be looked at as potential impact indicators, the researchers say. Communications systems in those events were devastated by sea incursions. CenturyLink, Intelliquent (formerly Tinet), and AT&T are most at risk for having infrastructure impacted, according to the study. Mitigation should include hardening infrastructure, along with backup and alternative, reliable routings that may have to include new, re-negotiated rights of way along higher ground, rather than the existing, commonly used rail lines and highways — links that are also at risk.